No culinary foams, foraged foods, white tablecloths or no reservations. Au Passage is all about real food, beautifully constructed and in a relaxed and friendly dining setting. And one of the best meals I have had this year. Tucked away in the 11th arrondissement and with a talented Aussie chef at the helm, Au Passage spares the stuffiness of many French bistros and offers a pared back setting with a mix match of old leather chairs and sofas, bright red tables and retro 60’s light fittings. The atmosphere is chic and relaxed with the clientele to match. The dinner menu begins with an array of small plates and ends with larger meaty options. The style is definitely sharing and allows you to choose multiple plates which focus on the quality of individual ingredients. 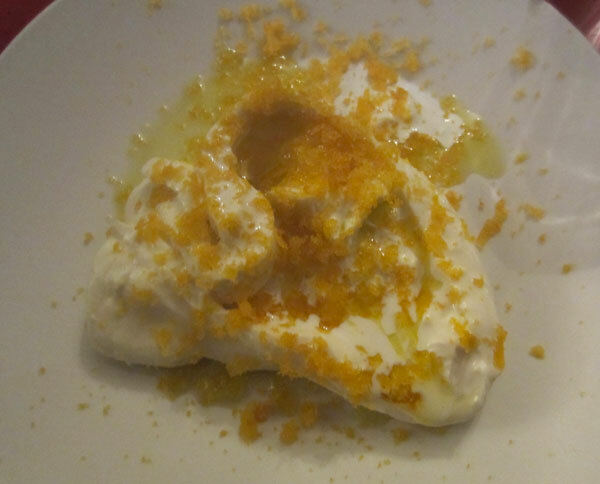 We started with the Burrata, drizzled with oil and lemon rind shavings. A deliciously creamy centre with the chewy mozzarella exterior, perfect. 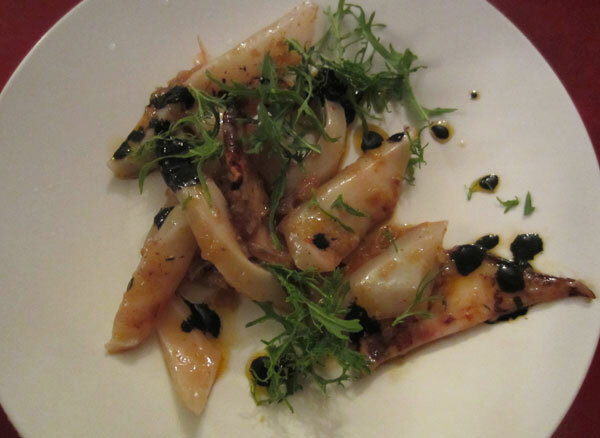 Next to arrive was a plate of extremely tender squid which had only just kissed the frying pan. With splashings of oil and balsamic it was as fresh as it comes. 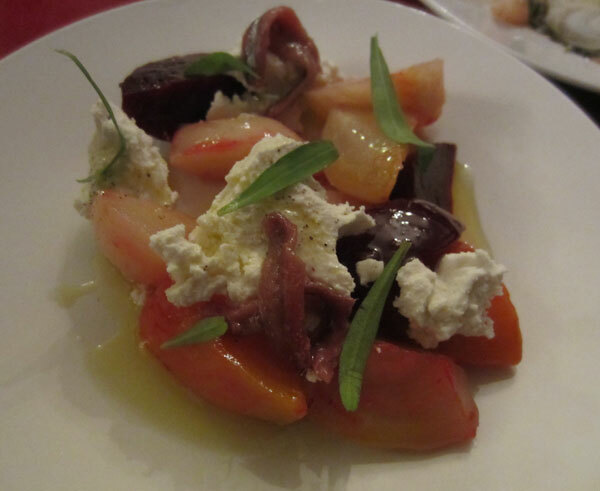 The combination of purple and white beetroot with soft ricotta, anchovies and topped with tarragon was definitely one of the stand out dishes. The texture and flavours were so beautifully arranged, each mouthful was an utter delight. And then came the pièce de résistance, slow roasted shoulder of lamb. This mouth-watering hunk of meat is enough to turn a vegetarian – it actually did! 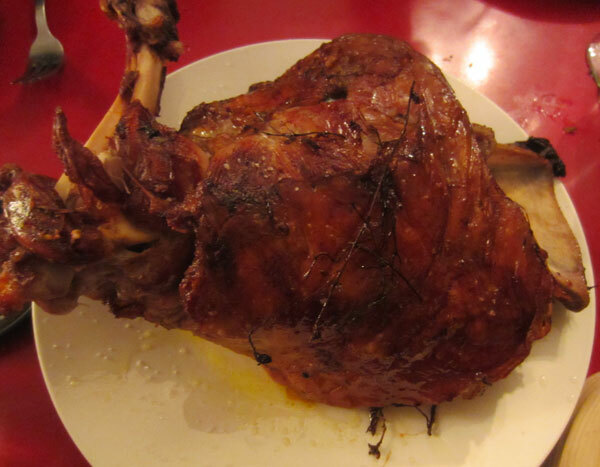 Glazed with orange juice, the skin was crispy and the succulent meat just fell off the bone. We attacked this plate with fighting forks. Just when we thought we had reached the pinnacle, two stunning accompaniments were served with the lamb. Puy lentils with crunchy slithers of white radish was absolutely stunning and was the perfect cross texture and flavour for the lamb. 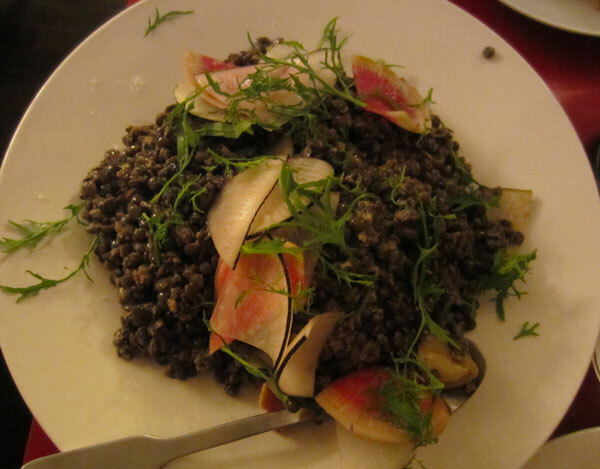 I am still talking about this lentil dish, it was so good. 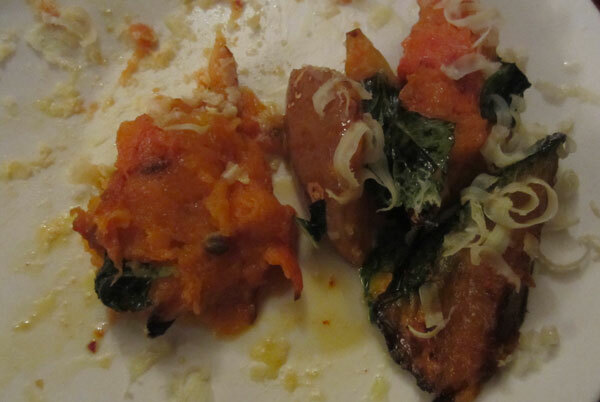 Roast pumpkin with buttered mint and grated cheese was well and truly tucked into before I could even snap a picture! Our meal was enjoyed with perfectly paired wines from a carefully chosen wine list featuring natural wines from independent and small producers. Au Passage is an absolute gem, a charming setting with very friendly service and exceptionally good, honest food – and all for a very reasonable price. 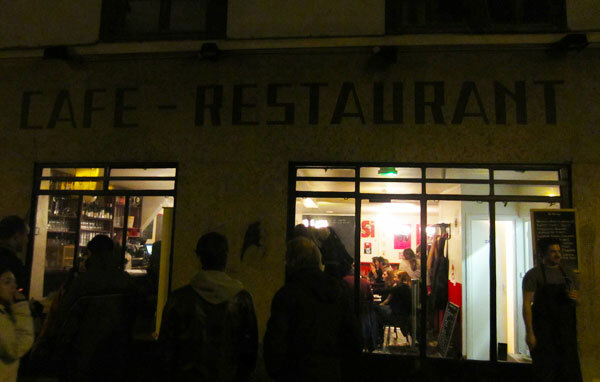 When in Paris you must add it to your lunch or dinner hit list. Au Passage: 1 bis Passage Saint Sébastien, 75011 Paris, France.